Many Jacksonville residents are relying on golf carts for transportation more than regular passenger vehicles. This is especially true with so many street legal golf carts on the road. Before you go off the standard carting path with your cart, it is best to understand the local road rules and insurance requirements. Why are Golf Carts so Popular in Florida? The wonderful weather throughout the year makes golf carts a huge convenience for Florida drivers of all ages. With many area residents living in planned communities and retirement communities, golf carts offer fuel efficient, inexpensive alternatives to standard vehicles. Reduced environmental impact. Even though most street legal carts are gas powered carts, they still produce far fewer emissions than the average automobile. Lower price point. Golf carts are cheaper than most vehicles, are much more fuel-efficient, and cost considerably less to operate and maintain. They can’t go very fast. Most golf carts will be hard pressed to exceed 20 to 25 miles per hour. This helps to reduce the risks of accidents and the severity of accidents when they do occur. Unfortunately, it doesn’t eliminate any possibility of accidents, and golf carts offer far less protection for drivers and passengers than standard vehicles that have seatbelts, airbags, and abundant structural reinforcements. The fun factor. There is something inherently more fun about riding in a golf cart or LSV than riding around in your car. Especially with so many customizations and “mods” available for street legal golf carts. Florida has some tricky regulations to consider when it comes to golf carts, however. The better you understand those regulations, the safer it is for you or your family members to operate golf carts on the road. LSVs may only operate on streets where posted speed limits are 35 or fewer MPH. While they may cross a street with higher speed limits, they may not drive on them. Street legal LSVs must have the following equipment: headlamps, stop lamps, turn signal lamps, taillamps, windshields, seatbelts, rearview mirrors, parking breaks, reflex reflectors, and vehicle identification numbers (VINs). You must have adequate insurance on your golf cart in accordance with state regulations. Golf cart operators must have a valid driver’s license in their possession. The other important thing to remember when operating a golf cart on the street in Florida is that you are subject to the rules of the road. You can be ticketed for driving in a manner that places you or others at risk. This includes distracted driving, intoxicated operation of your cart, speeding, driving on illegal roads (where the posted speed limit exceeds 35 MPH or where it is posted that you cannot drive), and for not having a valid driver’s license. 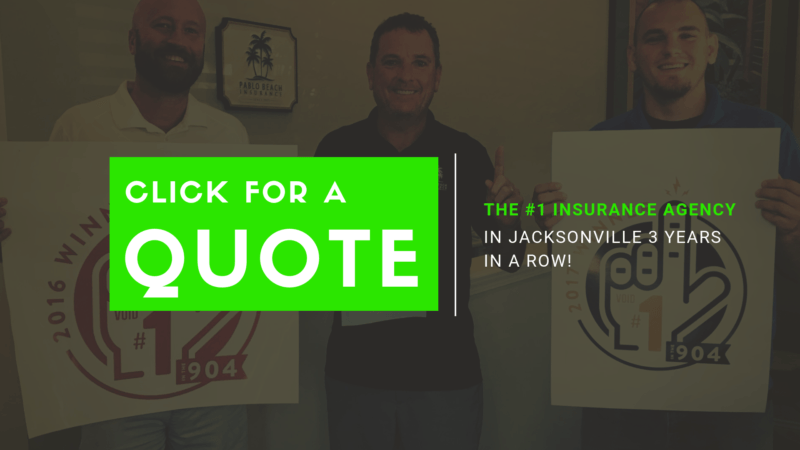 Jacksonville golf cart insurance isn’t only about protecting your golf cart from theft while you’re out and about. Insurance is essential for helping to protect the health of your passengers if you’re in an accident. It also helps to cover injury liability and property damage that occurs in an accident. The state of Florida requires a specific minimum amount of coverage for golf cart insurance. Contact Pablo Beach Insurance to learn about your options and determine if you are comfortable with the minimum coverage or prefer additional coverage to protect your assets.